SOAIS offers ERP maintenance solutions to suit customers with specific requirements such as onsite/offshore/hybrid engagement model, dedicated/part time resource options, and end-to-end SLA driven options. SOAIS works with its Cloud HCM customers to keep their applications running as intended and in tune with the changing dynamics of business situations. 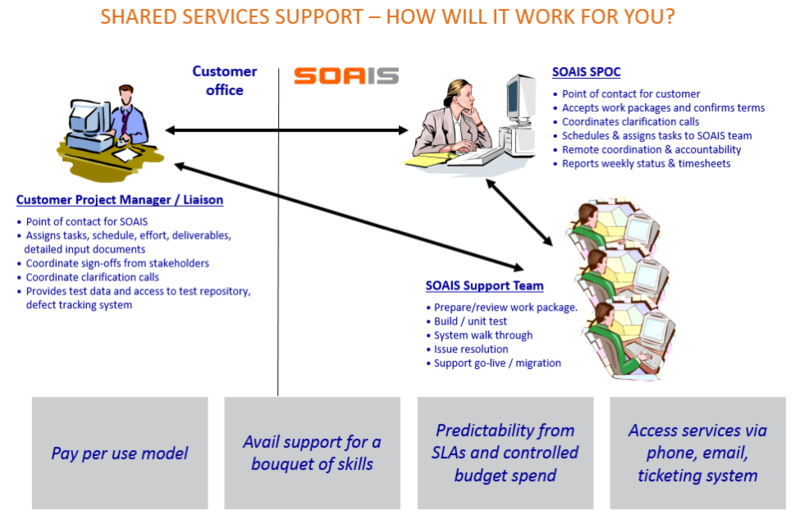 These services are delivered in a cost-effective manner from SOAIS delivery centers using a proven Shared Services model. Along with running Business-as-usual maintenance, Cloud HCM customers engage SOAIS for upgrades. 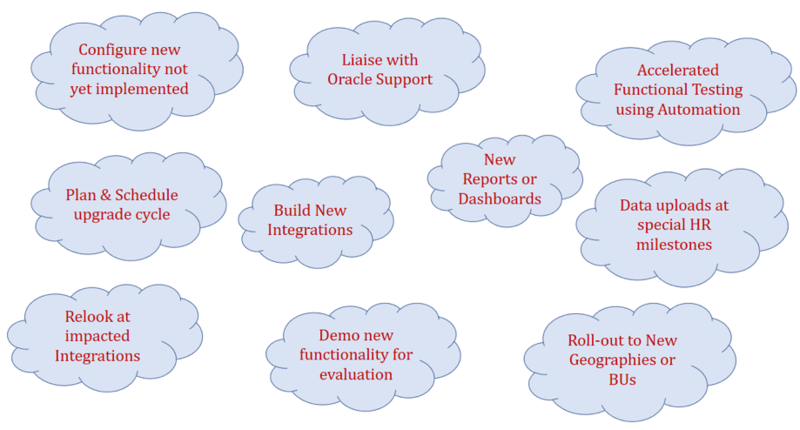 Upgrades deliver new features and functionality to the cloud application. They are part of the standard maintenance on your Cloud HCM environments, and help you ensure a stable and reliable Application on Cloud. Upgrading the application allows you to maintain consistent features with the latest releases. SOAIS provides PeopleSoft & Cloud HCM Shared Services to allow organizations to significantly reduce application maintenance costs while enhancing quality delivery and process management. Our customer receives a customized Shared Services engagement plan to match their specific Service Level Agreement (SLA) and skills requirements. These cloud services are delivered remotely via phone, email or support portal from a shared pool of resources to drive down the total cost of support. Our Shared Services model combines the strength of our globally recognized expertise and highly experienced resource pool. It not only helps our clients to significantly increase flexibility, productivity and savings in their business process, but also brings in additional benefits of sharing of knowledge across industries at no additional costs, bringing out the most optimal solution for support needs.